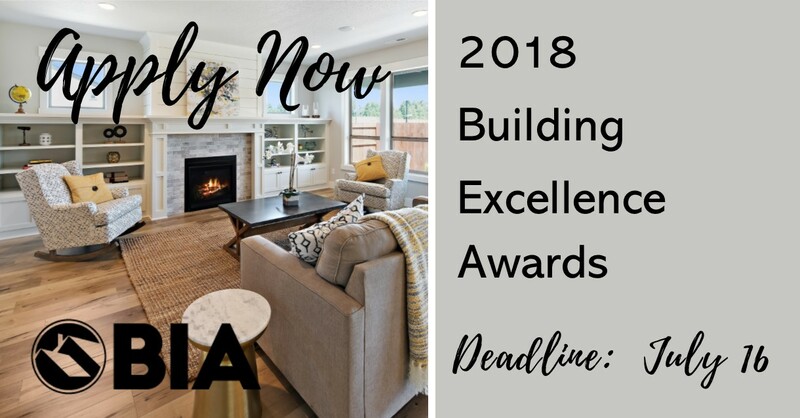 Submit your project for the 2018 Building Excellence Awards. Project must be completed by July 1, 2018. Completed nomination form must be submitted by July 16. Please prepare 6 hi-res digital photos of your project. Entries are judged on quality, craftsmanship, unique design features, company safety record, usage of BIA subcontractors and suppliers, as well as completion of project on time and on budget. Awards will be presented at the Building Excellence Awards & New Homes Tour Awards Dinner on August 16, 5:00 pm at The Heathman Lodge.